Now drawing upon F&SF's impressive history of classic and contemporary tales, this extraordinary companion anthology revisits and expands upon sixty-five years' worth of top-notch fiction. These broad-ranging, award-winning tales appeal to readers of genre fiction and beyond, exploring alternate history, time travel, urban fantasy, virtual reality, modern myth, horror, interstellar travel, epic fantasy, mystery, and space opera. 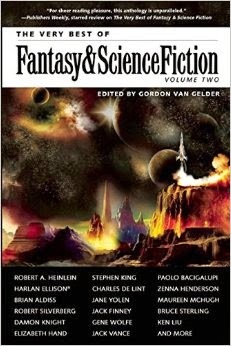 The Very Best of Fantasy & Science Fiction vol. 2 is the second compendium of the most famous and well written short stories to ever grace the pages of an already prolific magazine through its 65 year history. Fantasy and Science Fiction magazine has been the premier publication for the genre, and has showcased some of the most inventive and creative writers in any genre. I love these short story compilation books. Getting to experience different worlds, characters, atmospheres and themes every 20 pages or so is a real treat sometimes. Even more of a treat is the fact that each story was incredible in its own right. 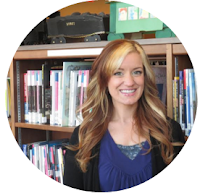 Before each story is a blurb about the author and some background on the stories wherever possible. This really helps you change gears from story to story and helps to give a greater appreciation for the work in relation to the era it was written. The stories themselves cover the full spectrum of sci-fi and fantasy and speculative fiction. Everything from the classic styles to contemporary and Avant-Garde pieces found their place amongst the pages. I salute the editor for avoiding a common pitfall with compilations, by including a bit of everything instead of sticking to one type or subgenre or style. On top of that, every story was interesting and entertaining; really showing off where Sci-Fi & fantasy has come from and where they are going. That being said, even the older stories didn’t show their age in a bad way. Usually it’s easy for me to pick a favorite and least favorite story in a compilation such as this, however I found that I enjoyed them all, and never found myself trying to speed through one to get to the next. They all have such different subject matter and style that picking one favorite would be a futile exercise. The setting and gritty futuristic feel in Winemaster was one that I enjoyed but I could just as easily pick any title out of a hat and tell you all the things I enjoyed about it. If I had to find anything negative about it, it would be that the titles could have used a bit of organization, and possibly some more background info about the stories and authors, but really that is nit-picking. Any fan of sci-fi, horror, fantasy or plain old fiction would be happy to count this collection as a part of their own.